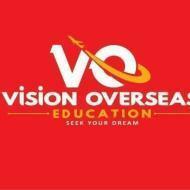 Vision Overseas Education conducts classes in IELTS Coaching, Interview Skills and Personality Development Training. It is located in Patiala City, Patiala. It takes Regular Classes- at the Institute.